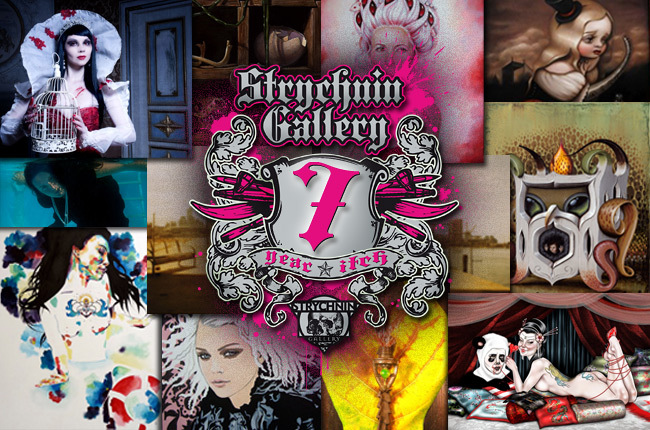 With over 60 artists helping us celebrate Strychnin Gallery’s 7th anniversary, “7 Year Itch” is a show you won’t want to miss! But for those of you who can’t make it to Berlin, you can see all the artwork on display here. As always, you can see pictures from the opening and installation shots here on the Strychnin blog! This entry was posted on February 14, 2010 by strychnin in New show.